Just wanted to pass along a bar recommendation, ma chere, were you ever in my neighborhood and in need of a classy cocktail or three. There’s no signage, so be prepared to look for it a bit. 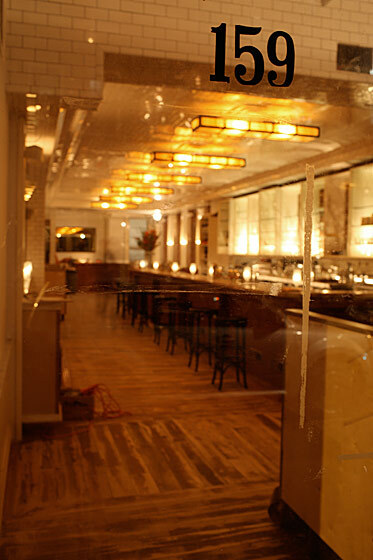 Weather Up Tribeca, sister to Weather Up Prospect Park, is definitely worthy of your attention. 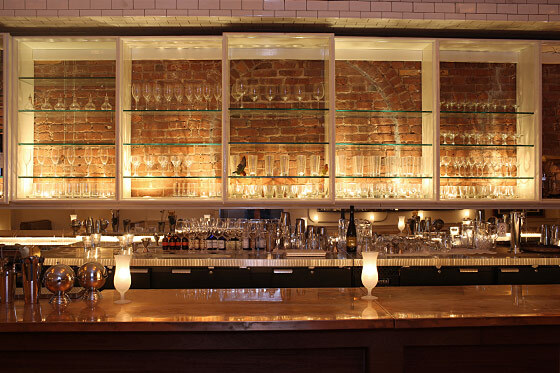 Most notable is the bar’s posh interior with a vibe completely free of pretension. Open just 6 months, the bar offers a tiny menu of nouveau American fare (e.g., caviar, potato chips, broccoli rillettes with peekytoe crab) that is very well done and a perfect compliment to the excellent cocktails. Your truly enjoyed a Kensington Fix (Gin, Amaro CioCiaro, fresh lemon juice, simple syrup) but Weather Up also offers cocktails of the bespoke variety. Just give your bartender a bit of direction and you’ll be pleasantly surprised. All images via NYMag Grubstreet. One of my favorites, John! Just my speed. Two things I love here 1)No signage. Always a good erm “sign”. 2)Bespoke cocktails. When are we going?? Umm, yes please!! Can’t wait to visit. I am stuck at home this weekend with doggy duty (as husband lives it up in HK, the nerve). I can’t wait to cut loose in NYC. No really, I mean cut loose. Oh and I don’t think I replied to your last email….on it! 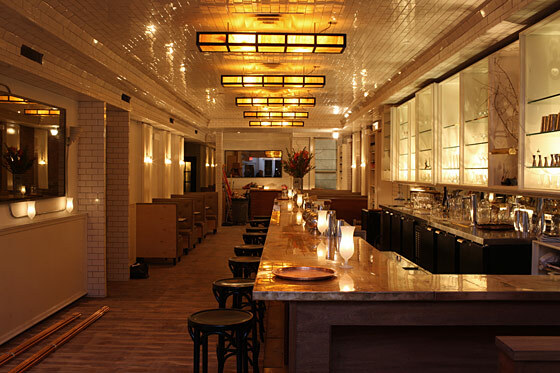 You are currently reading Quite Continental Recommends: Weather Up Tribeca at Quite Continental.